I've seen sugared cranberries year after year on various blogs and websites and thought they'd be hard to make. Plus, would they really taste good or were they just used as decorations? Then I started researching. 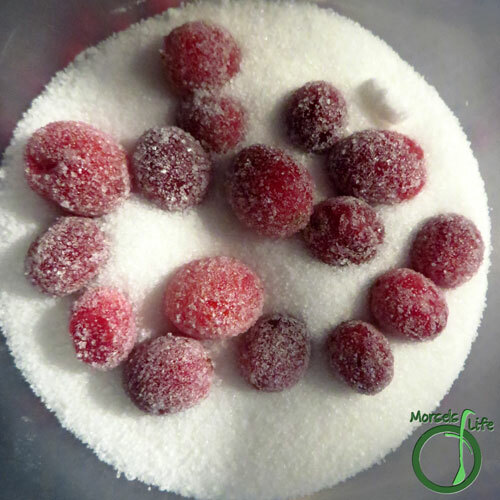 Some folks just dipped their cranberries into sugar water, dried them, and then covered them in sugar. Pretty? Yes. Tasty? Not so sure. Fresh cranberries = TART! Well, I'm glad to report, I never got that far. 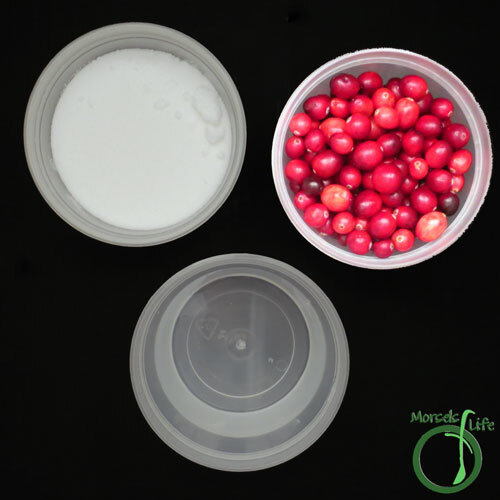 We snacked on these deliciously sweet and tart cranberries until they were no more! 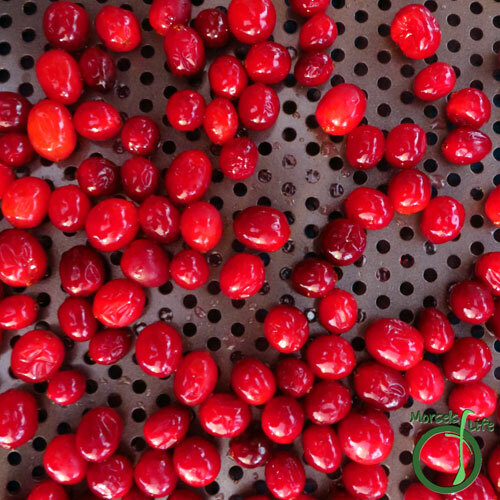 I liked the crunch of each cranberry as well as the sweet flavor you get when you pop one into your mouth and then the sweetly tangy feel as you bite into the cranberry. I'm sure this recipe will be making a repeat in my kitchen! 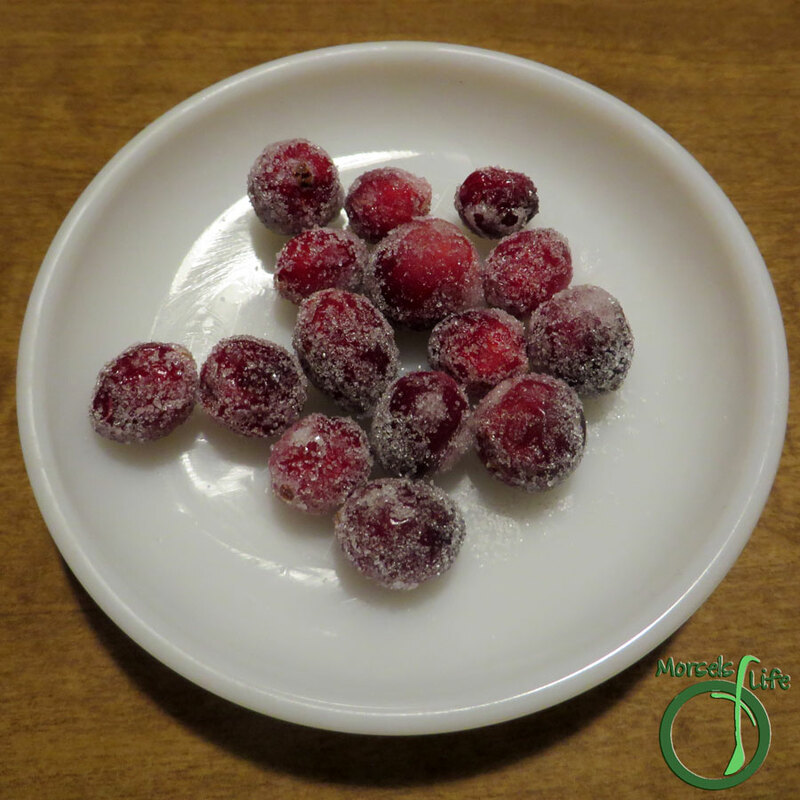 How will you use your sugared cranberries? 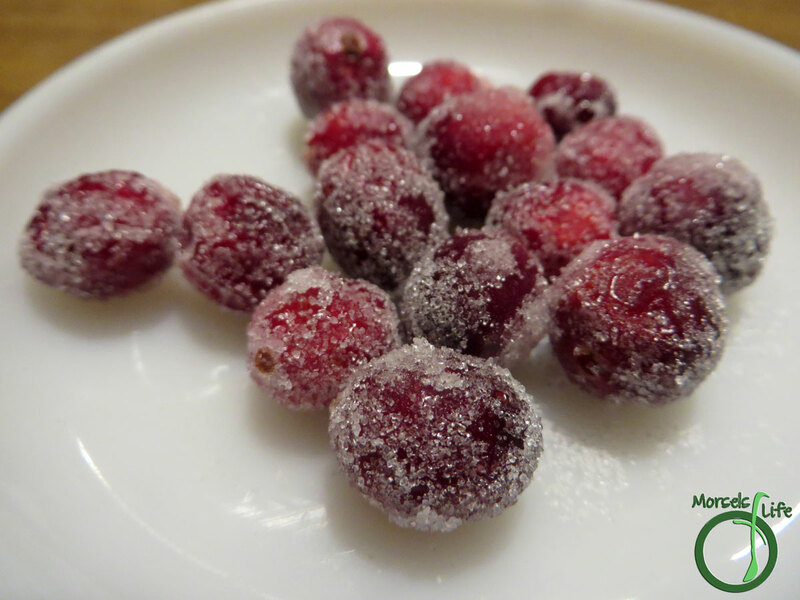 Find out how to make sugared cranberries - perfectly sweetened and sparkling ruby jewels. It's easier than you think! 2. 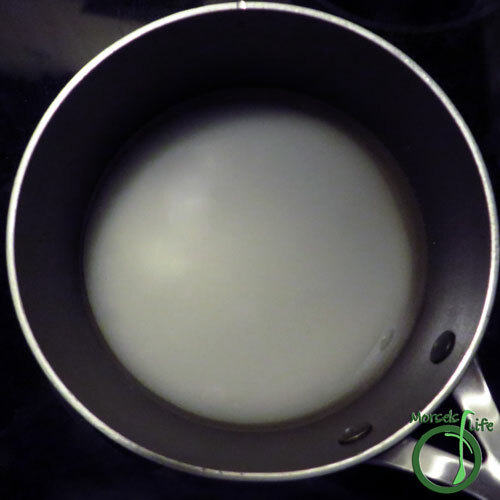 Dissolve sugar in water, heating slightly if needed. 3. Place cranberries in a jar, and then pour sugar solution over cranberries. 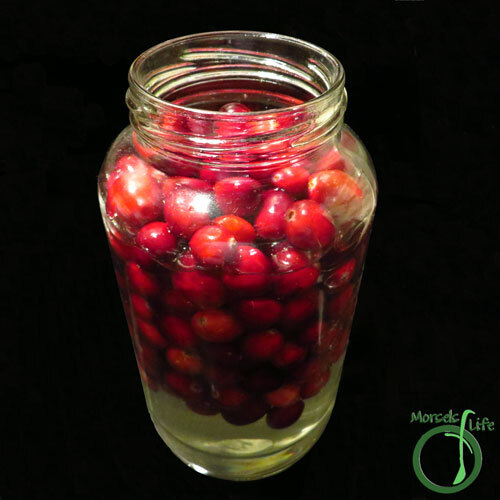 Allow cranberries to soak overnight. 4. (optional) Strain the cranberries from the sugar solution, and allow sugar solution to dry. 5. Roll cranberries around in sugar until coated and sparkly. 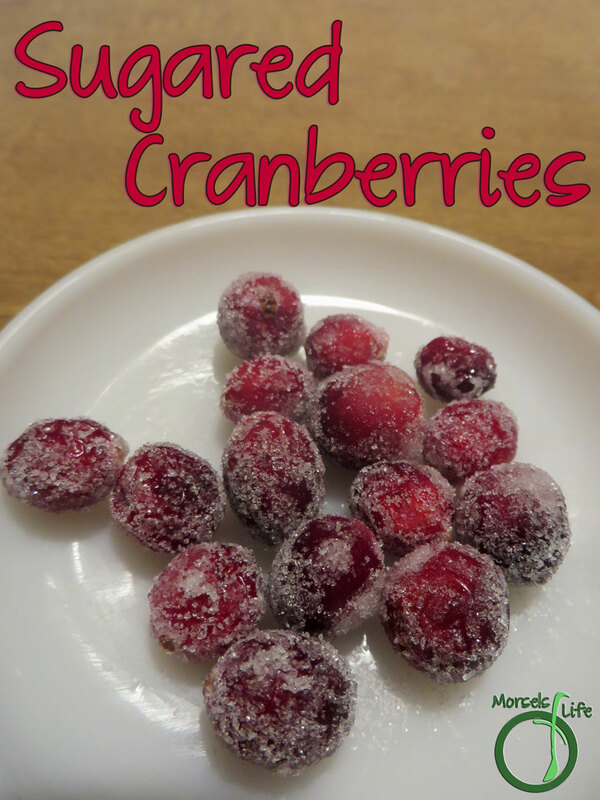 Your sugared cranberries look wonderful. I thought that they would only be used for decoration too. Glad to hear that they can be eaten as a snack. A yummy one too! I'm hoping to make more this year. :) Hope you get to give these a try! I always wondered that myself. They are so pretty, but seemed like they would still be too tart. I need to give this method a try! Thank you so much for bringing sugared cranberries to the party. I have often wondered how to do that, and now I know. i do the same with grapes ... "Uva Brinata"
These are beautiful! I've always worried they would be overly tart too, even with a sugar coating, but you've convinced me I should try them. I will have to tell my mom about this - she loves cranberries. What a neat idea to do this holiday season! I think they'd be really tart with just a sugar coating, but with the syrup soak, they're much sweeter. :) You can also adjust the sweetness by making the syrup sweeter (or soaking for a shorter time for more tart)! I've made these before! They are so delicious! Looks beautiful and easy! Pinned! Visiting via Wine'd Down Wednesdays! I've tried doing the sugar cranberry thing but my kids don't care for it. It does make pretty decorations on cakes and holiday items though. I want to make these just cause they look so pretty! I'm sure they would be a delicious garnish to any dish too. Thanks for sharing at the Wednesday Showcase party. Hope to see you again this week. Aren't they? :) I like how they're pretty as a garnish, and yummy to eat! Hey there, congrats on the special feature at #HIH for the 100th party! These looks really tasty and easy, I think I'll have them out at my Christmas table this year! It's always best to KISS right? :) Thanks for linking up at Happiness is Homemade!